At Neo, we tend to dress for the apocalypse every day. And when it comes to our DOC (Doomsday-of-Choice), we’ll take killer robots over religious prophecies. Your mileage may very, so come out to Nexus 6 and show us how you’d like the world to go down. 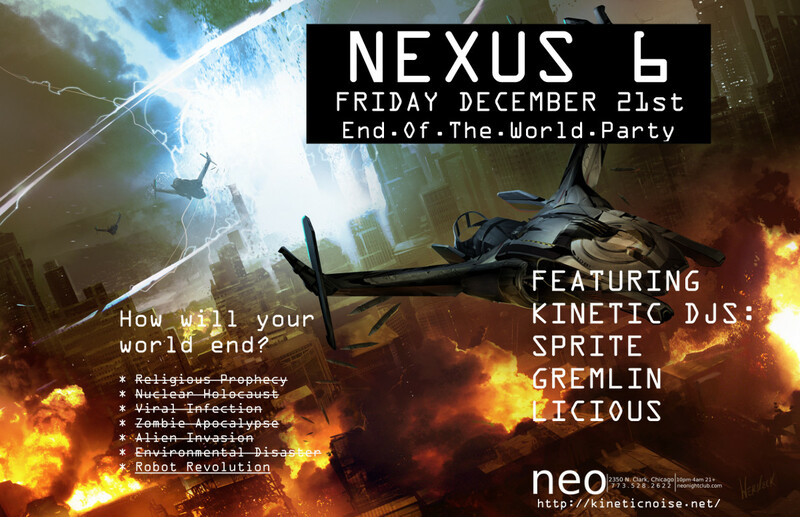 We’ll party like it’s the end of the world, as we always do, with a soundtrack of the best modern techno-industrial, EBM, aggrotech, and rhythmic noise. ~ by infomorph on December 13, 2012.